Wanna One is the top idol group in terms of brand value for April. 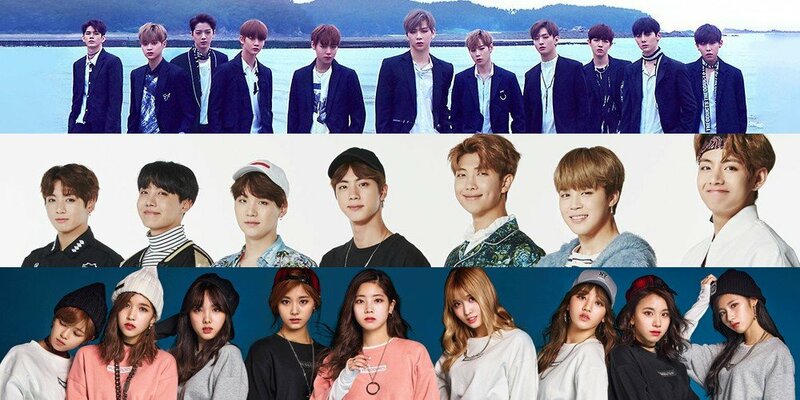 According to the Korea Institute of Corporate Reputation, Wanna One was at the top of the April data, followed by BTS�and TWICE.�186,480,989 pieces of data were examined from April 1st to April 30th. Wanna One had a total of 17,984,758, while BTS had 11,824,337 and TWICE had 11,391,023. The rest of the idols ranked were, in order, Red Velvet, WINNER, EXO, iKON, Lovelyz, Oh My Girl, Black Pink, EXID, A Pink, Girls' Generation, Big Bang, TVXQ, VIXX, NU'EST W, SHINee, MAMAMOO, Seventeen, Momoland, G-Friend, NCT, Super Junior, The Boyz, MONSTA X, Pentagon, BTOB, INFINITE, and Cosmic Girls.